An exciting new law firm providing expert law advice from a team of professional barristers always focused on the client. BLS Law provides barrister-led solutions with exemplary ethos and service. 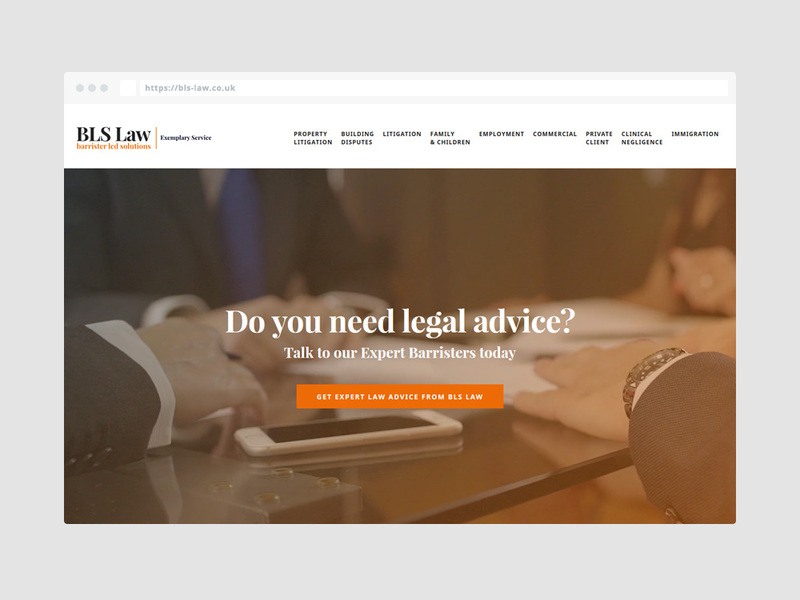 BLS Law – Barrister Led Solutions, wanted a brand identity and a new logo for their start-up along with a responsive and easy to use website in order to promote their law services and break into the online world with a well-designed and user-friendly digital identity. BLS Law was founded with the aim of providing clients with a professional service based on long continuity of staff and client relationships. Via their London Office, their team of established, expert barristers can cater for the whole of the of the South East of the UK, and are always keen to meet clients face to face whenever possible. 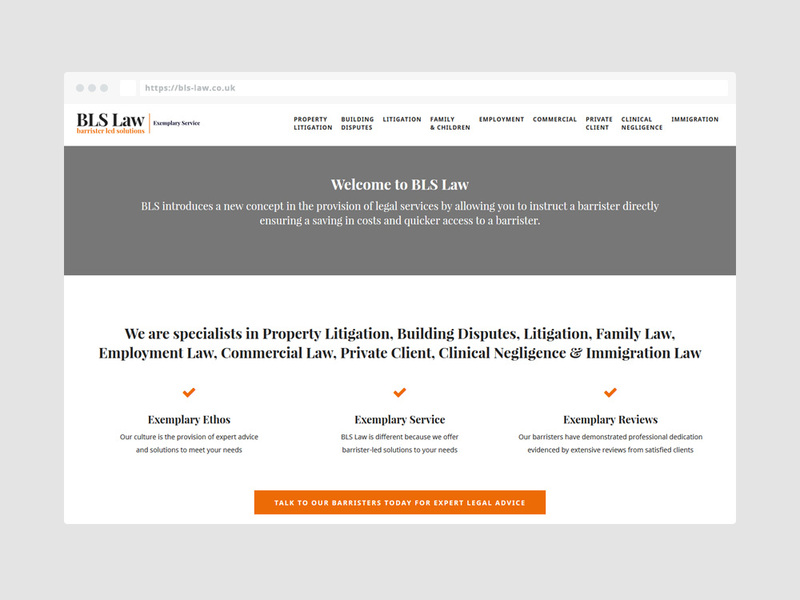 They specialize in Property Litigation, Building Disputes, Litigation, Family Law, Employment Law, Commercial Law, Private Client, Clinical Negligence & Immigration Law; while their years of experience makes BLS Law team supportive, understanding and compassionate. A new logo was designed after a collaborative process that works for all the needed uses from digital to print along with a professional brand identity that was applied across all mediums from the website to all the needed printed materials. Also, a highly usable business website was developed with a focus on content and SEO, making sure that the integrated responsiveness ensures it works and looks great across all devices, from mobiles to tables to laptops and desktops.